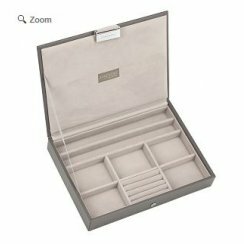 Jewellery is available in many varying shapes and sizes, therefore finding a suitable jewellery box for your collection can be a struggle. this is why STACKERS were created. The concept is, like so many of the best ideas, simple; with each STACKER designed to fit neatly and securely on top of one another, with different interior layouts to choose from and then a lidded option to sit on top (or use as a travel jewellery box) - the combinations are endless. With such choice and flexibility it is no wonder that STACKERS have become a worldwide success story!